Microsoft confirmed Wednesday that it has tweaked its Windows Phone YouTube app, eliminating the download capability that Google had asked for. Still missing, however, are ads—an ommision that will rob Google's content partners of revenue that they would otherwise earn. 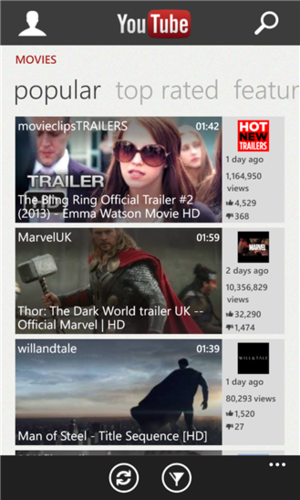 Microsoft's updated YouTube app is now live in the Windows Phone Store, with an update date of May 22. PCWorld played several videos using the new app. While the download feature has been removed, pre-roll ads—such as the one usually embedded before Psy's "Gangnam Style"—appear to have been removed as well. 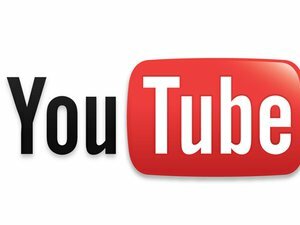 According to reports from The Verge and elsewhere, Google demanded that Microsoft remove the YouTube app from its store. "Content creators make money on YouTube by monetizing their content through advertising," Google's complaint letter read. "Unfortunately, by blocking advertising and allowing downloads of videos, your application cuts off a valuable ongoing revenue source for creators, and causes harm to the thriving content ecosystem on YouTube." As Google noted, users do have access to the YouTube Web site via the Internet Explorer mobile browser embedded in Windows Phone, which preserves what others see when they access YouTube via the Web: ads, and the lack of the ability to download videos. (A number of other services have permitted users to download YouTube videos.) Ads have become increasingly important to Google, as the company turns on paid subscriptions and ramps up enhanced campaigns across numerous brands. For their part, Microsoft representatives declined to explicitly acknowledge that the app update removed advertising. "Microsoft updated the Windows Phone YouTube app to address the restricted video and offline video access concerns voiced by Google last week," the company said in a statement. "We have been in contact with Google and continue to believe that our two companies can work together to hone an app that benefits our mutual customers, partners and content providers," Microsoft added. "We're earning new customers every day, with IDC reporting recently that Windows Phone posted the largest year-over-year gain among leading operating systems. We look forward to working with Google to maintain a great YouTube experience for the growing number of people who rely on both of our respective products." Microsoft representatives declined to comment further. Google did not explicitly state what its plans would be if Microsoft did not comply with its request. However, it would seem reasonable to assume that a lawsuit (or a threat of one) could follow. Google representatives did not immediately respond to requests for comment.